– Instantly book your appointment time. – Maintain your service work-order history. – Receive the latest specials for your vehicle. Car batteries are often overlooked or taken for granted until it is too late. Make sure you stay on top of your vehicle’s electrical system by ensuring that your battery has enough juice to start your engine and feed the numerous systems that rely on its power. 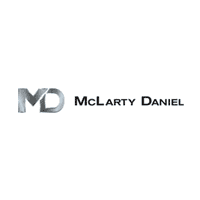 At McLarty Daniel Chrysler Dodge Jeep RAM, we service car batteries for Benton County, Rogers, Springdale and Fayetteville drivers from our Bentonville, AR, service and battery center. We can inspect any type of battery in no time, so your vehicle is ready for the toughest weather conditions. Jump on the opportunity to change your battery before you have to jump-start your car! MOPAR BATTERY 18 MONTH FREE REPLACEMENT. PRICE MAY VARY WITH APPLICATION. DOES NOT INCLUDE ENVIRONMENTAL DISPOSAL FEES OR TAXES. At our tire center in Bentonville, AR, we can perform every type of tire diagnosis, repair your tires if necessary or supply you with a new set of tires at a great price. We serve Benton County, Rogers, Springdale and Fayetteville drivers from our Bentonville, AR, location. We stock the most reliable brands, including Michelin, Continental, Dunlop, Goodyear and Bridgestone tires. Visit us for all your tire maintenance needs. PLUS MOUNT AND BALANCE. PRICES VARY BY APPLICATION AND BRANDS. FREE TIRE ROTATIONS WITH PURCHASE OF FOUR TIRES. ELIGIBLE TIRES WILL RECEIVE FREE 2 YEAR ROAD HAZARD PLAN. DOES NOT INCLUDE ENVIRONMENTAL DISPOSAL FEES, TIRE FEES, OR TAXES. If there is a part of your vehicle that you always need performing at its best, it’s your brakes. At McLarty Daniel Chrysler Dodge Jeep Ram, we have a team of expert technicians who can ensure your brake pads, fluid, hydraulics and hardware are up to snuff. We can quickly diagnose the state of your brake system and replace any elements using factory-recommended parts. Drivers from Benton County, Rogers, Springdale and Fayetteville come to our brake service center in Bentonville, AR, to get professional and speedy brake work done. You can’t put a price on peace of mind, but when we put a price on your brake parts and service, you can be sure you’re getting a great deal! MOPAR VALUE LINE PADS ONLY. ROTOR RECONDITIONING AVAILABLE. PRICE MAY VARY WITH APPLICATION. DOES NOT INCLUDE ENVIRONMENTAL DISPOSAL FEES OR TAXES. The easiest thing you can do to keep your engine running smoothly is getting an oil change regularly according to the manufacturer’s recommendations — and even sooner if you often drive in heavy traffic. It will save you money in the long term by preventing major maintenance issues, and you will notice an improvement in fuel economy, too. At McLarty Daniel Chrysler Dodge Jeep Ram Bentonville, we ensure that your oil change doesn’t take too much of your time. Our facility is conveniently located in Benton County, AR, close to nearby Rogers, Springdale and Fayetteville. We can get you in and out within minutes, and you don’t even need to plan in advance or schedule an appointment. If you drive by, drive in! UP TO 5 QUARTS OF OIL. DOES NOT INCLUDE SYNTHETICS OR DIESELS OR SPECIALTY OIL FILTERS. DOES NOT INCLUDE ENVIRONMENTAL DISPOSAL FEES OR TAXES.